Lance Armstrong: Paris to Perdition. In the 2002 Sam Mendes Hollywood crime thriller, Road to Perdition, starring Tom Hanks, Daniel Craig and Paul Newman, the Hanks character, on the run from the mob and fleeing to Perdition, a town on the shore of Lake Michigan, to get his son to safety there failed literarily as he was killed in that town with the ominous name. For Lance Armstrong, the one-time, seven times Tour de France champion, his trip to infamy and perdition was atop a bicycle – via the Pyrenees, up the L’Alpe d’Huez and the Mont Ventoux (windy mountain), where Lance once slowed down at the stage finish allowing Marco Pantani to win eliciting antagonism from Pantani, all the way to seven ‘Tour championships’ fuelled, as has been alleged, by a cocktail of EPO, Cortisone, steroids, growth hormones, testosterone and all what not. 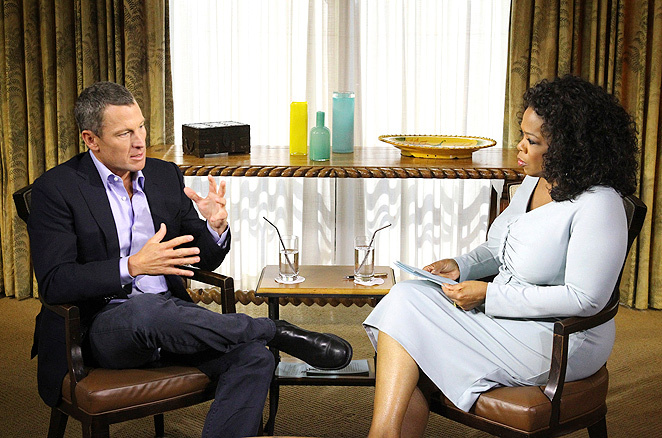 Come Thursday, 17th January, 2013, the world will watch Lance take his place on the famous Oprah Winfrey “couch” – though the meeting was reportedly held in a hotel room – to give an interview which Oprah has told US television Armstrong came prepared. Prepared in what way, I wonder? Is it to confess to the world of his doping? Is it to apologize to fellow cancer survivors and cancer sufferers around the world? Is it to blow the whistle on the entire Tour de France? Or to continue to vehemently deny any wrong doing even though he has refused to appeal the stripping of his seven Tour titles? The Lance Armstrong doping case has arguably become the greatest in athletic history, surpassing the Ben Johnson and Marion Jones sagas. Definitely, because of the emotive nature of the story: A cancer survivor who beat necrosis, surmounted the Col du Galibier and finishes best of the Peloton not once, not twice but seven times. He became an inspiration to the world, an inspiration to cancer sufferers world-wide and an example of the indefatigable nature of the human spirit. The Tour de France is indisputably the toughest competition in the world. Armstrong himself once called it “purposeless suffering” and in another breath “the most gallant athletic endeavour in the world.” Observers have portrayed it as running a marathon everyday for three weeks straight. From its early days the Tour has been dogged by doping allegations so much so that some believe that nearly all the cyclists engage in some form of doping. Some have even suggested that doping be legalized in the Tour. Until that is done, if ever it is done, Lance remains steeped in infamy. Growing up watching Armstrong winning his Tours, idolized and celebrated, I still find it difficult to wrap my head around the fact that it was all a lie – and the road through Sestriere, up the Pyrenees, down the Champs-Elysees with the yellow jersey on his back was indeed the road to perdition. This entry was tagged cancer., EPO, Lance Armstrong, Oprah, Tour de France. Bookmark the permalink.